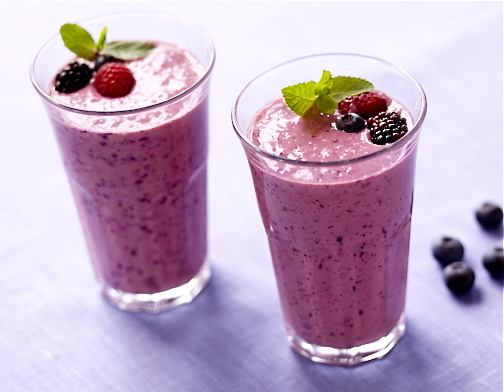 Pick out your kids' favorite types of berries and apples for this Berry Blast Smoothie. To create one, mix 1 cup of apple slices, 3/4 cup Greek yogurt, 1/2 cup soy or almond milk, a handful of fresh berries and 4oz Cascade Ice Zero-Calorie Huckleberry Blackberry in a blender. Blend until smooth and top with a few more fresh berries.